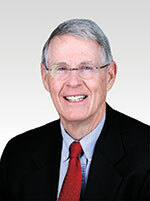 Richard L. Simpson was Professor Emeritus at the University of Kansas. He was a member of the Department of Special Education faculty for over 40 years. While at the University of Kansas he directed numerous University of Kansas and University of Kansas Medical Center demonstration programs for students with autism spectrum disorders and other disabilities and coordinated a variety of federal grant programs related to students with autism spectrum disorders and other disabilities. He also worked as a special education teacher, school psychologist and coordinator of a community mental health outreach program. Rich authored numerous books, articles, and texts on a variety of topics connected to students with disabilities. Rich was the former senior editor of the professional journal Focus on Autism and Other Developmental Disabilities. His awards include the Council for Exceptional Children Research Award, Midwest Symposium for Leadership in Behavior Disorders Leadership Award, Autism Society of Kansas Leadership Award, and numerous University of Kansas awards and distinguished roles, including the Gene A. Budig Endowed Teaching Professorship of Special Education.